What Can I Do With a Four or Five Year Old Horse? What can you do with a four or five-year-old horse? Although there is a lot of debate about what age a horse should be trained to carry a rider, most trainers would agree that four or five years of age is when a horse can truly go to work. What can a four or five-year-old horse do? Here's an overview of what you can expect from a four or five-year-old. By the age of four or five, a horse is almost completely matured, although it's felt that some geldings may not reach full size until the age of seven. A horse at this age is also sexually mature. This may be the age which stallions could begin their breeding careers. Mares are now mature enough to carry a foal without undue stress on their growth and health. Some breeds are left virtually untouched until the age of five, and for them, training has just begun. Breeds like Icelandic Horses may not be started until they are fully matured. Many trainers feel there is little to be gained by starting too early and find that horses started later in life catch up with peers whose training began much earlier. Certainly, if the goal is to eliminate any possible strain on a growing body, then waiting until the age of five will achieve that goal. This is when many horses begin their careers and can handle the advanced training of demanding sports like jumping, dressage, distance riding, polo and other high speed, high impact or physically demanding work. To work a very young horse too hard can cause damage to joints and ligaments in the legs and upper body. Many performance competitions require a horse to be four or five years old to compete. This requirement recognizes that a horse must have fully matured bones, tendons, ligaments, muscles and joints to withstand carrying a rider throughout its lifetime. 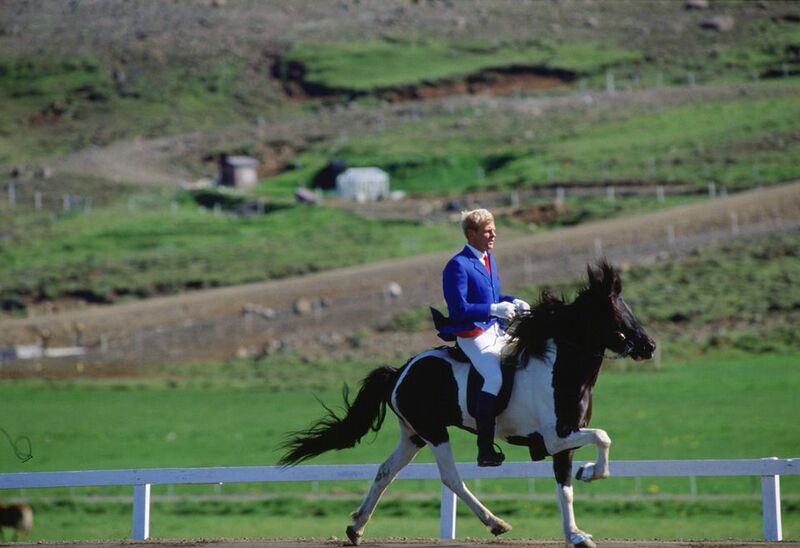 The American Endurance Riding Conference requires that a horse be at least 5 years old before competing. Canadian Pony Club requires that a pony or horse be at least four years of age for the sake of rider and mount. Any sport such as jumping, combined driving, reining, dressage or distance riding that puts extra stress on a horse's joints shouldn't be started until the age of four or five (or more, depending on the individual). It’s felt at this age too, that a horse is more mentally mature, and is, therefore, a bit more sensible and easier to train. So once your horse has reached that age of four or five, it’s perfectly fine to ride it regularly, begin competition under saddle with it. Because it is still a young horse, you will have to condition it for fitness slowly. But, at this age, there shouldn’t be too much worry about overworking an immature horse.